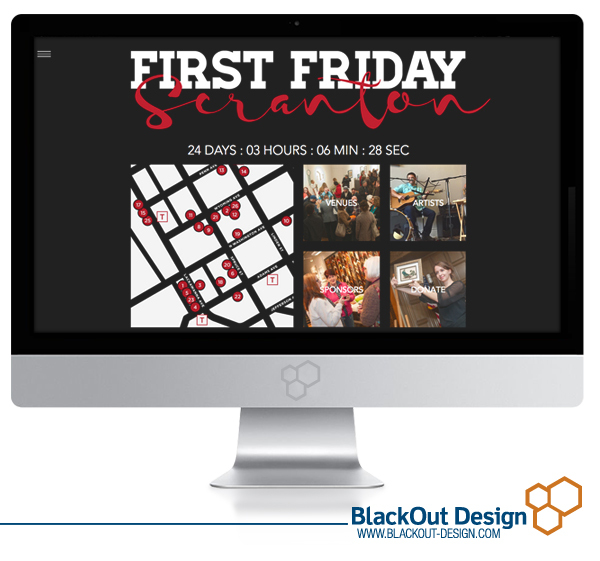 Since its inception in 2005, BlackOut Design has been a proud sponsor and partner of First Friday Scranton. Our team works closely with the nonprofit organization to coordinate and market its monthly art walk, maintain its website, and develops various marketing collateral throughout the year. After designing the website a few years ago, we decided it was time for an overhaul. The new website serves as a central source for artists, venues, sponsors, and attendees to obtain and share information related to First Friday’s various events, all while staying in the branded guidelines we’ve developed for the organization. Interested in learning more about First Friday Scranton? Visit the website here.